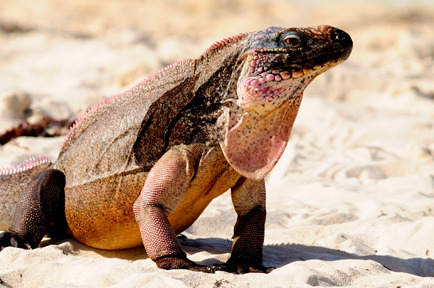 When it comes to exploring nature, The Bahamas has plenty to offer. The Islands play host to some of the most intriguing, exotic and mysterious natural phenomena on the planet. Here you'll find the world's deepest blue hole, the third-largest fringing barrier reef in the world, miles of pink-sand beaches, the world's largest colony of pink flamingos, the endangered Bahama Parrot, the unusual Andros iguana, a wild horse preserve and countless nature preserves. You'll also find a growing number of eco-friendly hotels and resorts in The Bahamas offering vacation packages that support ecotourism and ecotravelers. The Abacos are a bird-watcher’s paradise and one of the few places in The Bahamas where you can find the endangered green Abaco or "Bahama" parrot, mainly in South Abaco near Hole-In-The-Wall. A subspecies of the Cuban Amazon parrot, they are known to be the only species of parrot throughout the Caribbean that nests in the ground. 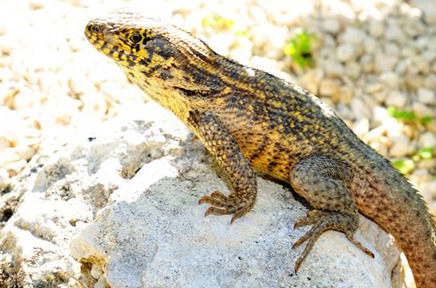 There are two extensive national parks in The Exumas. The 176-square-mile Exuma Cays Land and Sea Park, created in 1958, was the first land and sea park in the world and is one of the most successful marine parks. It is the first "no-take reserve" (all fishing is prohibited) in the wider Caribbean. Ecotourism is so important here that each year the community dedicates the entire month of October to pay homage to the natural environment. 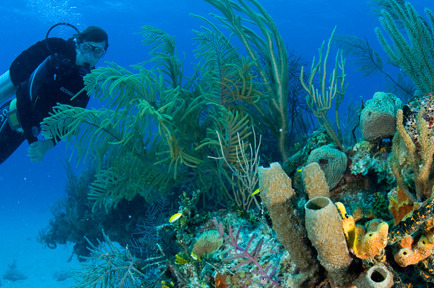 Andros is the ecotourism destination of The Bahamas because of its large pristine, terrestrial and marine ecosystems. The western side of Andros is a nursery for countless marine and wildlife species. It’s also the largest protected park system in the country. Grand Bahama Island is a true nature lover’s paradise. It is home to three national parks, the star of which is Lucayan National Park, the only place in The Bahamas where you can see all six of the country’s ecosystems. 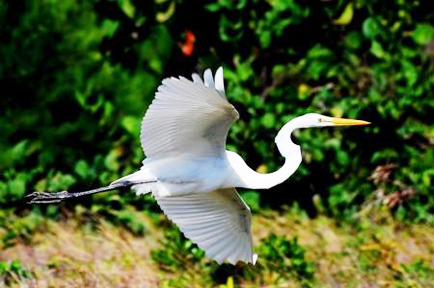 Eighteen of the 28 known species of Bahamian birds that are not seen in the United States, Canada or Europe live here. 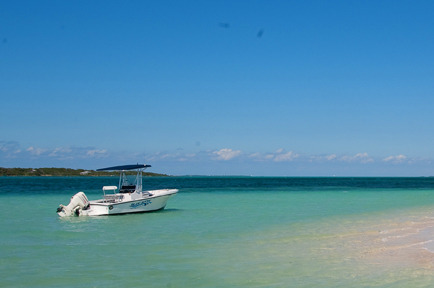 Inagua is an ideal destination for travelers who are interested in ecotourism. 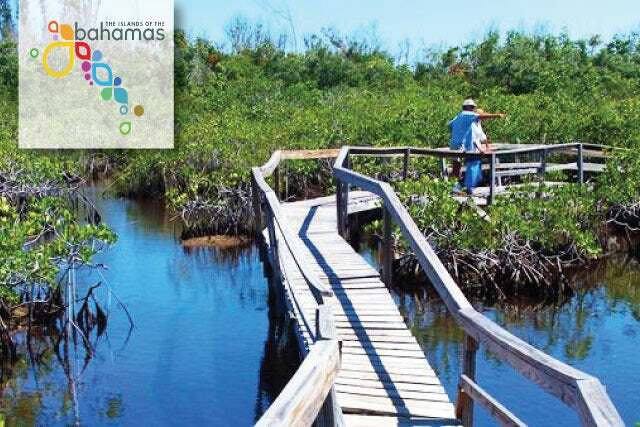 It is home to three ecologically important areas that are part of the Bahamas National Park System. The Inagua National Park on Great Inagua (covering half of the island’s land area) is home to the world’s largest breeding colony of West Indian Flamingos, National Bird of The Bahamas.